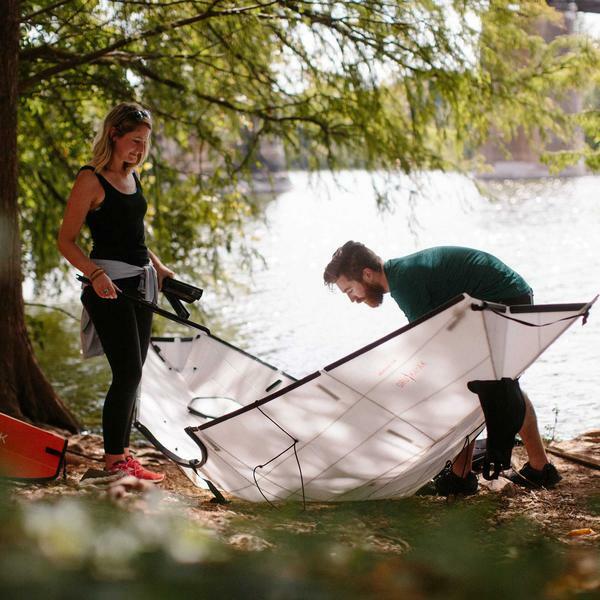 Oru make ingenious folding kayaks inspired by the Japanese art of origami (paper folding). 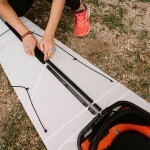 They are lightweight, easy to assemble, and great to use. 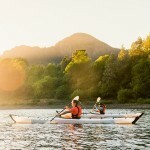 There are three variants: the 12ft Beach LT, the 12ft Bay ST and the 16ft Coast XT. All three fold up to form a box that’s about the same size as a suitcase, and uniquely the walls of the “box” are part of the hull itself. There is no separate box… the boat is the box, and the box is the boat. All models include adjustable footrests and backrests, and bulkheads. Bays and Coasts include skirt-ready cockpits. 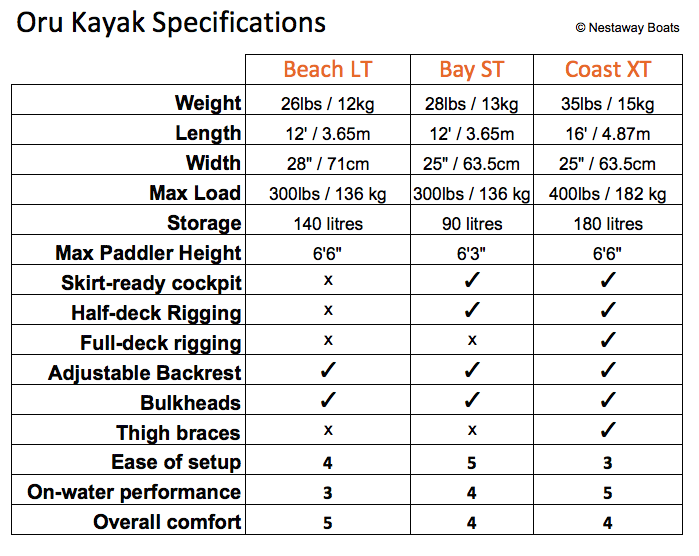 Updated table coming soon for Beach LT, Bay ST and Coast XT – January 2018. Beach LT 12ft. 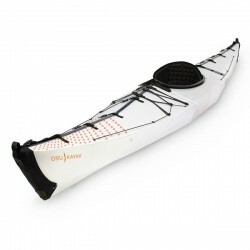 This model from Oru has a larger, more open cockpit and extra beam (width), making it easier to get into and more stable. 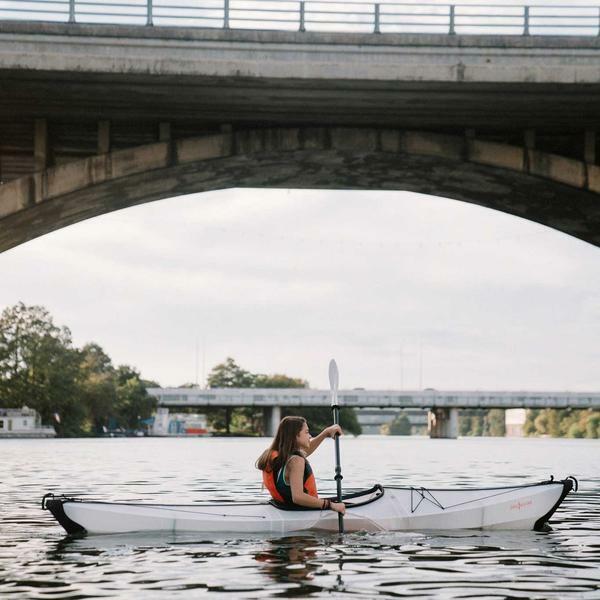 Whilst this makes it more “recreational” than the other Oru kayaks, it still offers much better performance, faster assembly, and greater durability than most comparable folding or inflatable kayaks. 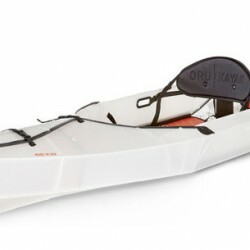 Bay ST 12ft The original Oru Kayak. Stable enough for beginners while its length and contouring make it fast and sporty for expert kayakers. 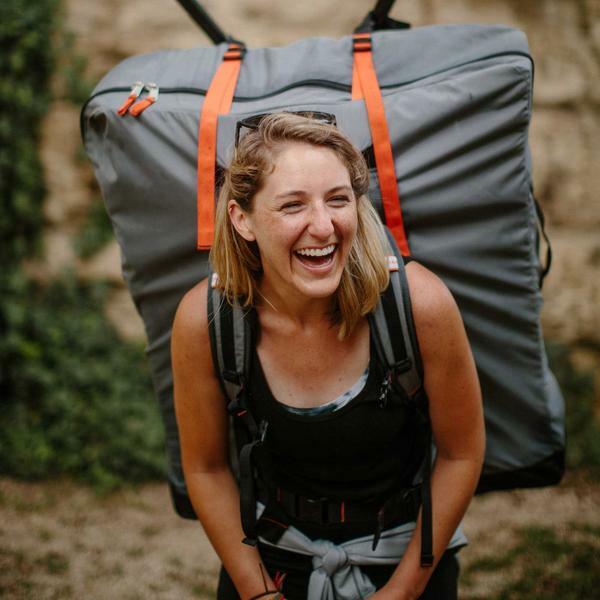 Get out and explore – great for a variety of casual trips. Put it in your car, check it onto a plane, hike it out to remote lakes. 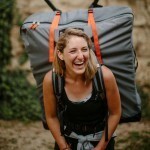 High performance for full days and short camping trips. Faster set-up and more comfortable for long days. Great for fishing, sailboats and countryside trips. Coast XT 16ft Fitness on the ocean. Fast, stable and safe in the water. Pro-level performance. Go far. And then go a little further. The new standard for spontaneous adventures. Designed for rugged expeditions in surf and wind. 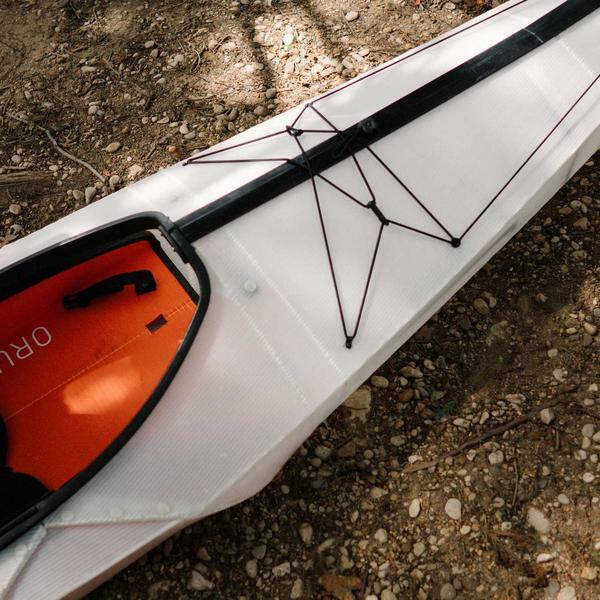 The Oru Kayak’s “hard chine” design – or sharp change of direction from the bottom to the sides – also means confidence-inspiring stability for beginners to the sport. Those with more experience of paddling kayaks are generally amazed by the performance. 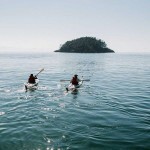 These are not kayaks for ocean crossing or violent whitewater, but they do have very good all-round ability. 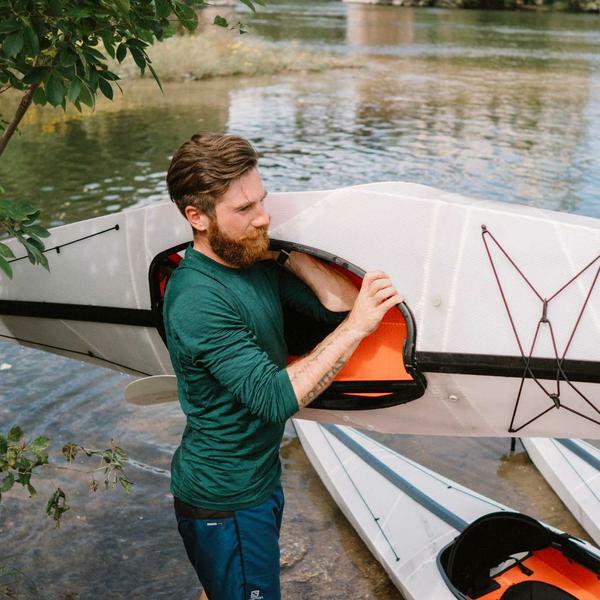 And of course their portability means you can take an Oru kayak to a lot of places that would be impossible for a “normal” solid kayak. Optional buoyancy bags, paddle (four-piece) and even your own buoyancy aid can be packed within the folded Oru box (without increasing size). You can take it in a lift, or even check it in as baggage with many airlines (talk to them first though!). 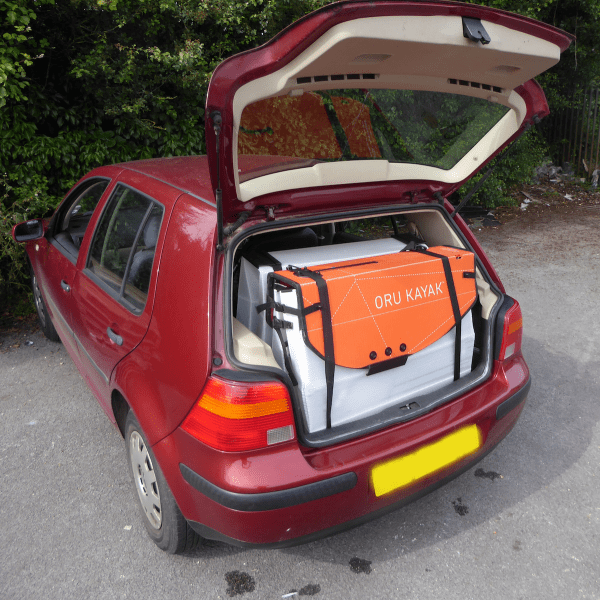 A folded Oru will fit in the back of most cars with ease. 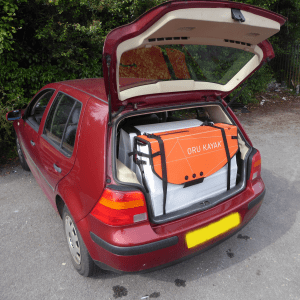 In the picture gallery below you will see an Oru in the boot of a BMW 5-series estate – you could get 3 or possibly 4 in (enough for the whole family), even with the back seat up. Our predictions were correct and we were able to comfortably fit two Oru kayaks in the boot of a VW Golf, again with back seat in place. 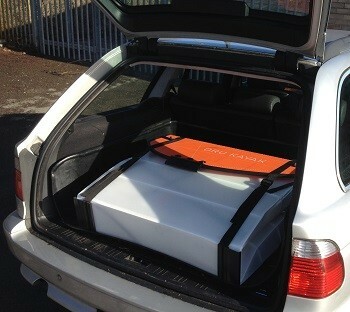 And we can confirm that the boot closes effortlessly. 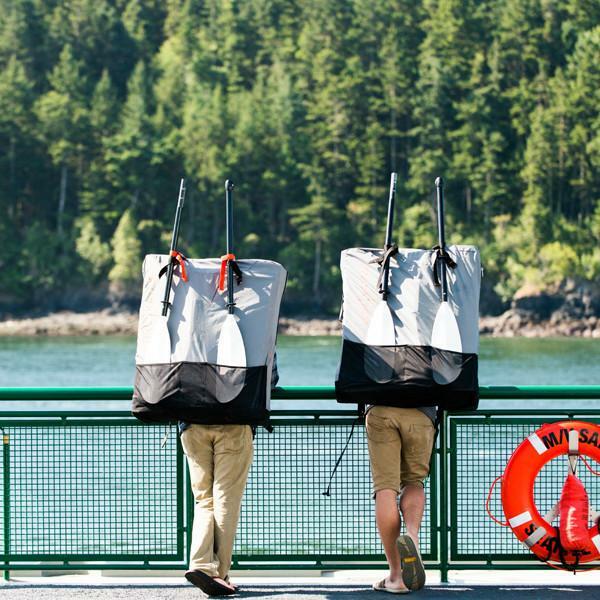 For a couple going away with two Oru kayaks, there’d still be plenty of space for other luggage. 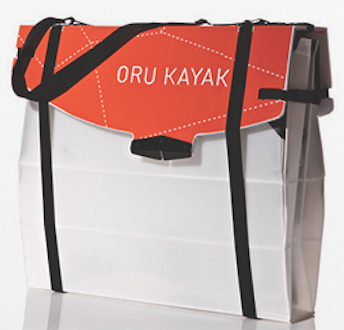 Remember that the buoyancy bags, paddle (4-piece) and even a buoyancy aid will also fit in the folded Oru box. 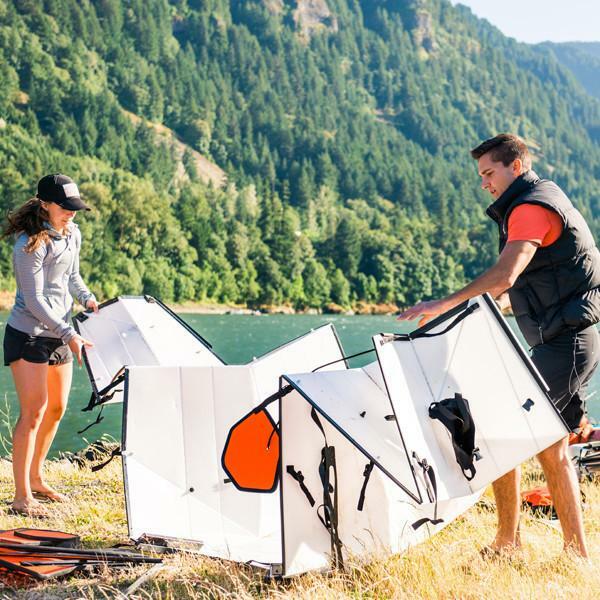 It’s also worth mentioning here that the genius’ at Oru HQ miraculously engineered the longer 16ft Coast XT to pack down to the same size folded dimensions so any of the models will fit as shown here. 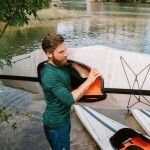 There is also an option to buy a backpack that the folded kayak fits into. That means almost no limits at all to where you can take it. 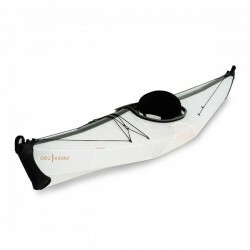 And even if the water’s only a few inches deep, an Oru kayak will float. Would you like help choosing a model? Talk to our experienced staff to find the right kayak for you.